Welcome back! Because of a complete re-design of both www.drjoey.comand www.shulmanweightloss.com, we have had a break in our newsletter delivery. My team and I are now back to business and have some very exciting events and upcoming announcements. Products, recipes and inspirational stories! When you wake up in the morning, does the snugness of your pants determine your mood? Do you find that when you do start to lose weight, you quickly self-sabotage those results and binge eat until you experience the horrible feeling of "food guilt?" If so, you may be an emotional eater. Click here to read more. Did you know that a slight change in diet could cure stress, PMS or other common health problems?Read on for nutritional advice for eating away your health woes. Goodbyn’s is a BPA free, leakproof and dishwasher safe lunchbox that is perfect for your child to pack for school. If you have never tried this tasty grain (which is actually a seed!) – the time to start is now. As one of the onlygrain like foods that is a complete protein rich in amino acids, quinoa is also easy to digest; low on the glycemic index and suitable for most gluten sensitive people. When cooking quinoa it is important to rinse thoroughly in a fine strainer to eliminate any bitter taste. You can cook quinoa the same way you cook rice. Bring 2 cups of water to a boil and add one cup of quinoa. Allow to simmer for 15 minutes with lid on top of pot. Remove and let sit for 3 minutes and then fluff with fork. See recipes below. 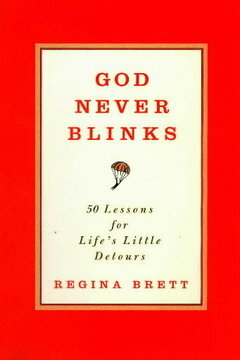 God Never Blinks – 50 lessons for life’s little detours by Regina Brett. If you are looking for an easy read that will give you a daily “pick me up” than this is the book for you. After surviving cancer,this single mom penned her own life experiences to share her lessons with others. From the lesson of “Over prepare and then go with the flow” to “Stay put in the day you are in” – her 50 lessons are sure to teach and make you smile. If you love eggplant as much as I do – try this creamy, low calorie dip as the perfect spread or appetizer! Wash the eggplant. Do not peel. Wrap tightly in aluminum foil. Bake at 350 for about 30 minutes or until soft. Peel the eggplant and chop finely. Add remaining ingredients and chip until the mixture is thoroughly blended or process in food processor. Chill and serve with whole grain crackers or on top of your favorite meat or vegetables. Yields about 5 cups. Drizzle sauce over top of quinoa and enjoy! In a large saucepot, over medium heat, cook lentils in vegetable stock for 15-20 minutes or until lentils are soft. In a large sauté pan, over medium heat, sauté vegetables in butter for 5-7 minutes until vegetables begin to soften. Add vegetables to lentils and stock and simmer for 10 minutes. Add sugar, salt, pepper and vinegar to saucepot. Cool soup slightly and transfer to a blender container. Puree mixture until smooth. age 49 – down 38 pounds! Since starting the Shulman Weight Loss Plan, I have more energy and fell much better about myself. My sleep has also improved and I do not feel like I hit a wall in the middle of the day. age 37 – down 37 pounds! 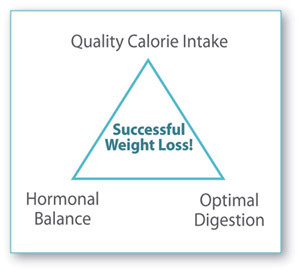 Since following Shulman Weight Loss Clinic's hormonal approach, I feel lighter, stronger and more energized. My waist size has gone down over 5 inches which has greatly decreased health risks that may have been lurking. I also now walk into a room with my head up again and my shoulders back. I have received many comments from co-workers saying I look more "alive" and that I have the "sparkle in my eyes" back.